The Truro Lions Club, based in Truro, England, has just installed its tenth lifesaving HeartSine Automated External Defibrillator (AED) in its local community; this time at Truro’s railway station. The HeartSine AED will protect employees, passengers, and the surrounding community near the Truro railway station in the event of a Sudden Cardiac Arrest (SCA). Duneland Family YMCA in Chesterton, Indiana has received a donation of a HeartSine Automated External Defibrillator (AED) for use during a Sudden Cardiac Arrest (SCA). The HeartSine defibrillator will protect the club’s staff, members, and visitors in the event of a SCA, a condition in which the heart suddenly and unexpectedly stops beating. Eleven schools across the United States each have been awarded a HeartSine® Automated External Defibrillator (AED) package as winners of a Sudden Cardiac Arrest (SCA) poster contest sponsored by Project ADAM and HeartSine Technologies. Building on its success as the provider of choice for Automated External Defibrillators (AEDs) to the international airline industry, HeartSine Technologies will be on hand at the International Paris Air Show from June 15-21, 2015 to meet with current and potential customers. 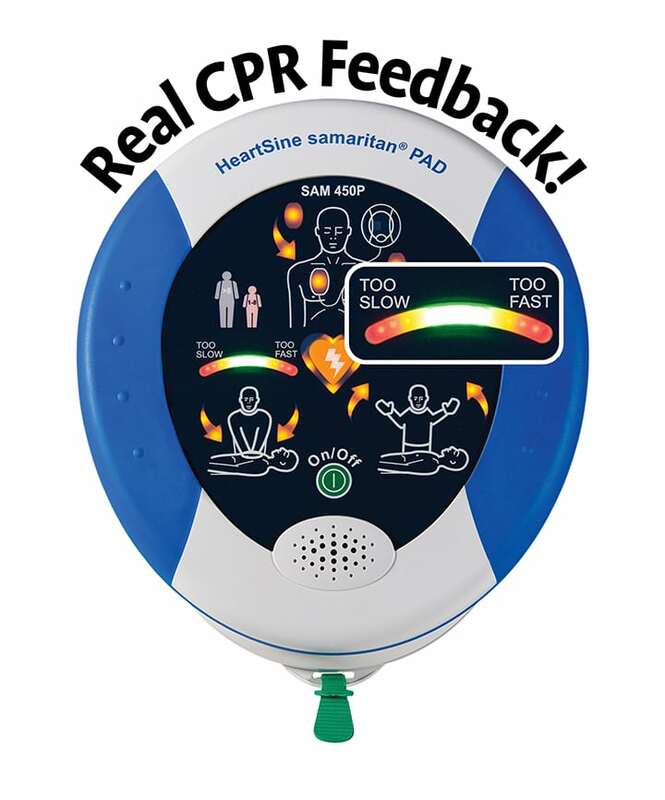 HeartSine® Technologies samaritan® PAD 360P fully automatic automated external defibrillator (AED) has been authorized for sale in the Canadian market.